Make the ideal impression on your target market with eye-catching and creative vinyl banners. 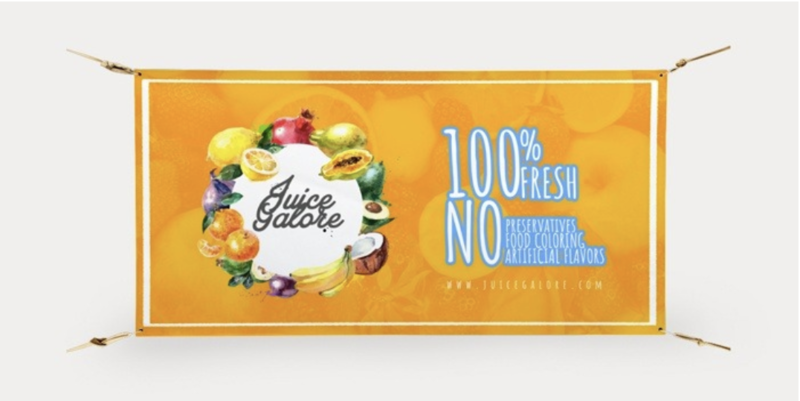 Introduce a promo or feature an awesome products with cool banners and posters. Deliver your message to a wider audience without having to spend a lot. Just let us handle the printing job for your PVC banners and you can hang them right away. We produce these items on vinyl which is perfect for any type of surrounding. EnchantedMobileCreation's weather-resistant vinyl banners are ideal for either indoor and outdoor use. Increase foot traffic by attracting new customers or invite existing ones to come again and bring friends next time. We can also put grommets or pole pockets for the finishing part making it easier for installation. We can prepare your order and have it ready for shipping in just 3 business days. Our prints are perfect for any type of business. 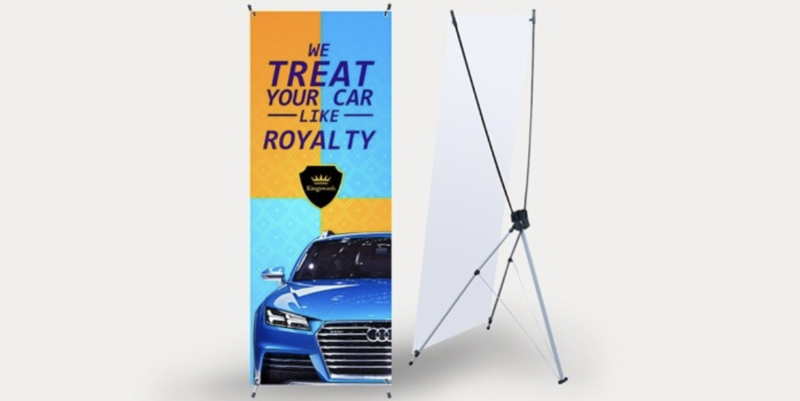 Whether you want to place the printed banners inside your shop or hang it by the roof area, these are attention-grabbing promotional materials. This gives your business a big visual appeal for a better brand exposure. When in need of vinyl signs, let EnchantedMobileCreation be your first choice for printing. Portable and easy storage with free canvas carrying case. Because retractable banners are low-cost and extremely easy to set up, they are favorites of small business owners. 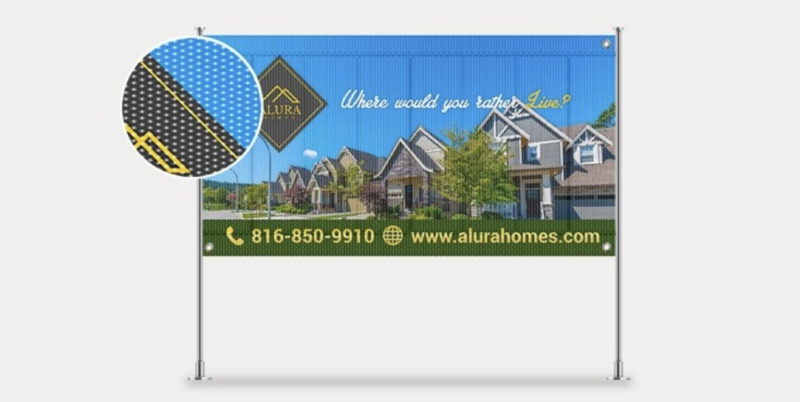 These banners are perfect for any indoor advertising. It's a common promotional tool at trade shows, conferences and other events since they are small to transport, easy to carry, and fast to put up. The banners are printed in 3 different sizes on glossy 13 oz. poly film material with a gray back. These banners are attached to the stand with an adhesive. The actual retractable stand is made of aluminum and comes with a free carrying case. Print 1-10 banners and have them ready to be shipped in 2-4 business days. Note: Our retractable banners are assembled ahead of time and shipped inside the free bag. EnchantedMobileCreation’s mesh banners are printed in full color. You can customize your design and add background colors, text and images to your banners. We can finish them with hems and grommets for easy, secure installation. You can order quantities from 1 to 50 pieces. Standard printing turnaround time is 3 business days. Take your event to the next level! Step and repeat banners are sure to make your event one guests will remember. You can use these banners to add some style to events like weddings, trade shows, and award ceremonies. Use one at a red carpet event or an event you want to look like a red carpet event. Our step and repeat banners can be printed on 13 oz. vinyl, 13 oz. poly film or canvas material. One-side or two-side printing options are also available. Choose from grommets or pole pockets for finishing. Whether you want to promote your business or show appreciation to your sponsors, these banners are perfect for you. Print in 2-5 business days. You can order from 1-50 pieces. Opt for "banner only" or "banner with stand." Order today and make yours an unforgettable event! Note: Banner stands come shipped inside a bag for easy storage. Banner printing is perfect for delivering your message to a large audience. Whether it’s for promoting a discount, branding, announcing new products, or services in trade shows; or for birthdays, weddings, graduations, or parties, banners will do their job and grab attention. Personalized banners work best for having an eye-catching advertising tool. Users are encouraged to take advantage of its large size so that your message can be seen even from a distance. We offer four types of banners: vinyl, x-stand, retractable, mesh, and step and repeat banners. Vinyl banners work for general announcements. Like the rest of our banners, they are durable enough to withstand even the harshest of elements outdoors. X-stand banners and retractable banners come with stands and are popular as trade show banners. Mesh banners are used in windy locations. They are printed on a polyester material that allows 25% airflow to pass through. They’re typically seen on fences.